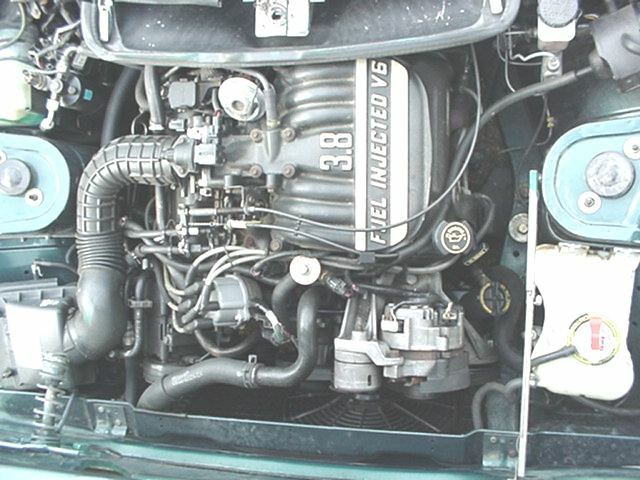 1990 Ford 3.8 ltr SEFI V6, EEC-IV engine control. 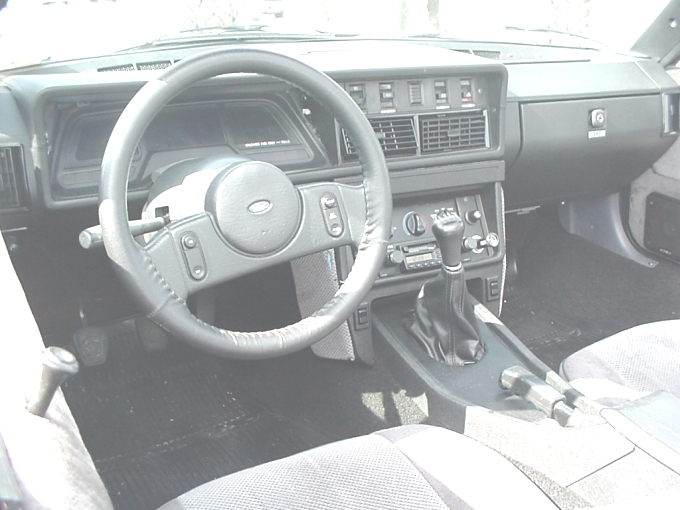 German Ford McPherson strut with rear mounted sway bar, power rack and pinion steering, with a Mustang tilt steering column. Modified British Leyland trailing arms with adjustable shocks. Ford 10-inch vented disks with a quad diagonal hydraulic system. Ford 7.5-inch limited slip 3.08:1. 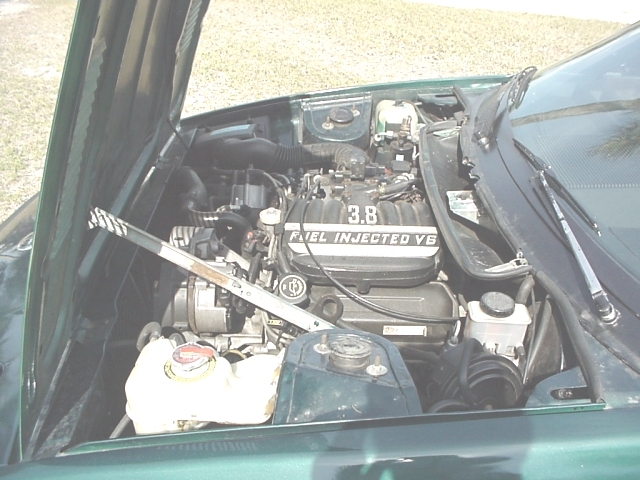 1995 Borg-Warner T5 with a Hydraulically operated 11.5-inch clutch. 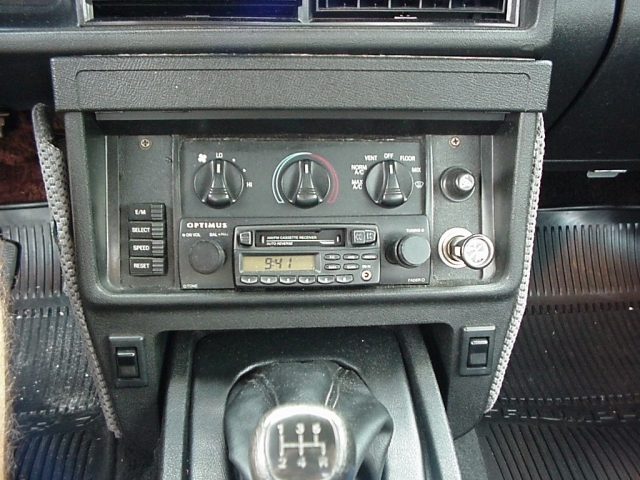 Customized Ford with some Lucas components, Ford Thunderbird LCD Instrument cluster. Ford vacuum electronic servo system. The front suspension is one area of the car that I am most proud of and most over looked. 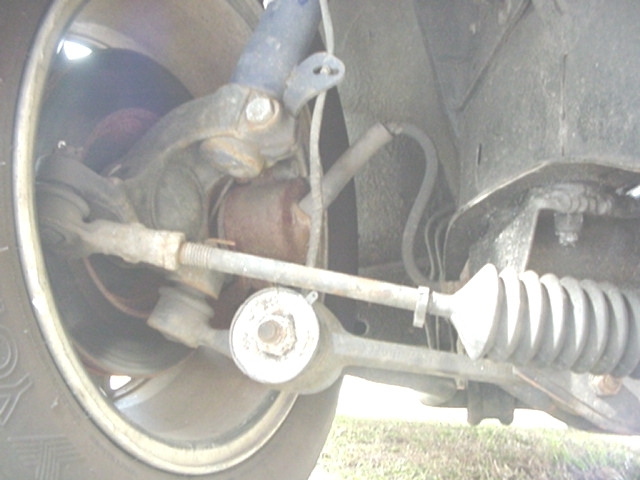 The original front suspension of the TR7/8 was weak and poorly designed. In addition, the geometry was all wrong. The 7/8 models are notorious for shimmying at 45 and 60 mph. 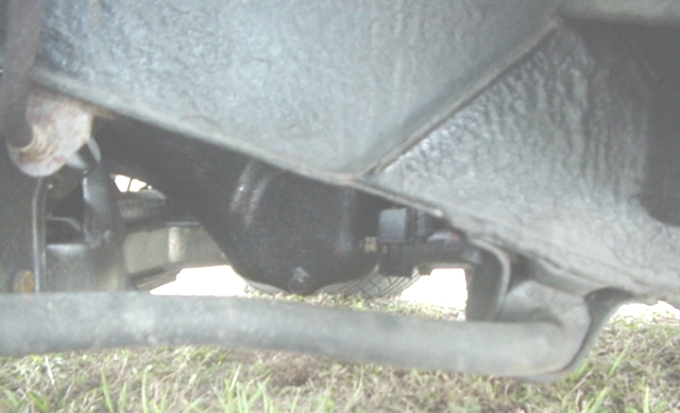 The heaver rear mounted sway bar is the main fix for the suspension woes of this model. It was also a mistake (for the factory) to mount the "K" frame on rubber mounts. The new Ford sub-frame that I use is bolted directly to the unibody frame. The body of this car was so well thought out, it's too bad they didn't give the front suspension half as much thought. The power steering which can be seen running under the oil pan is a variable assist system which gives a nice "road feel" at highway speeds. 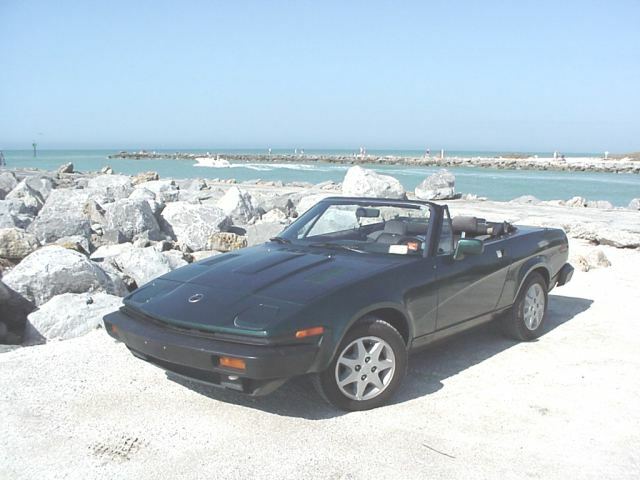 Even with the original short-coming of the TR7s and TR8s, the car was always a delight to drive. With the mods that have been made it now performs as it should have originally; like a true performance automobile.